The scars of childbirth were still healing on Amelia Reyes Jimenez’s stomach in 2008 when police came to her Phoenix apartment and took her three-month-old daughter from her arms. Three and a half years later, Reyes Jimenez and her four children have become statistics in the U.S. crackdown on illegal immigration. Each year thousands of children of undocumented immigrants, like Amelia’s kids, wind up in foster care when their parents are arrested for immigration violations. Some are even adopted by U.S. citizens while their parents are held in federal detention centers or deported back to their native countries. Reyes Jimenez’s son and three daughters are now living in foster care in Phoenix, and are awaiting possible adoption. Reyes Jimenez is back in Mexico, her parental rights terminated by an Arizona judge, and she cries when she remembers the raid that began it all. The pace of deportations of illegal immigrants from the Pacific Northwest has reached an all-time high. U.S. Immigration and Customs Enforcement deported 10,602 people from Washington, Oregon and Alaska in fiscal 2008, which ended Sept. 30. That’s a 37 percent increase over fiscal 2007 when 7,688 illegal aliens were sent back to their home countries, according to an ICE press release. The federal government is continuing the incremental agenda to build a Ministry of Love styled detention camp system for the American people. According to a report from the Los Angeles Times, the Immigration and Customs Enforcement Agency or ICE is building three new detention camps in the United States. The detention facilities will be minimum-security residential facilities that the federal government says will be used to house illegal aliens. Considering that the majority of the American people are against illegal immigration and just want immigrants to come into the country legally, most people will believe that this is a reasonable step to solve the illegal immigration problem. Unfortunately, this is really nothing more than a phony solution to solve a problem that has been created by government policies that have been implemented to encourage the illegal alien problem. The federal government is using the illegal immigration problem as an excuse to build the detention camp apparatus that is really meant for the American people. This is pretty obvious considering Rex 84, the Army’s Civilian Inmate Labor Program, the preservation of detention camps for Japanese Americans used during World War II and additional detention facilities built by KBR. Building a series of detention facilities is not going to resolve the illegal immigration problem with an administration that has supported policies to ensure as many illegal aliens enter the country as possible. As the economy unravels and as more and more people begin to protest against this criminal government, the establishment will need these detention facilities to lock up large numbers of Americans. 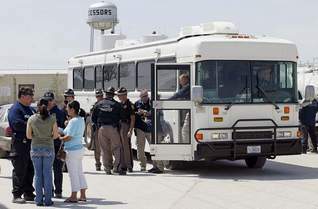 Recently in Waterloo Iowa, the federal government through ICE and FEMA built a temporary detention facility on the National Cattle Congress fairgrounds to round up a group of illegal aliens working in the area. Rounding up a few hundred illegal aliens does absolutely nothing to reverse the long standing policies that created the illegal immigration problem in the first place. 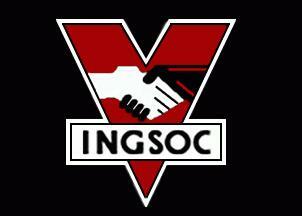 In fact, all they are doing to the illegal aliens they round up is to process them through their temporary FEMA camp. This is clearly not an effective way to stop illegal immigration. 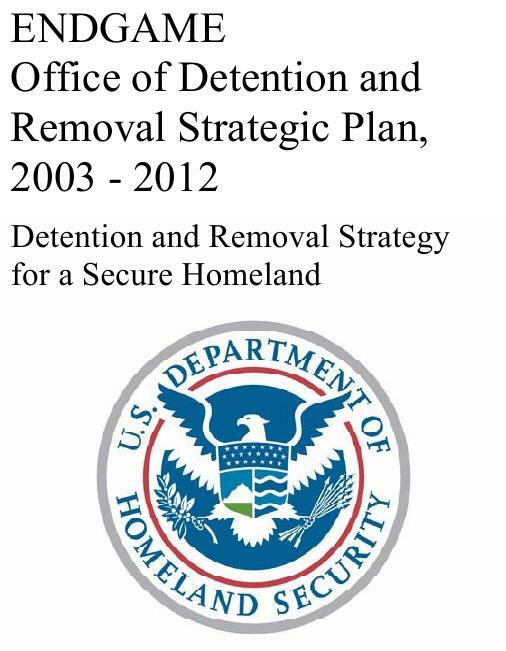 Under the guise of solving the illegal immigration issue they are simply having their people go through the motions in order to practice the deployment of a FEMA camp and the processing of live test subjects through the FEMA camp. According to a report from Radar Magazine, top secret continuity of government operations includes a database called Main Core which contains a list of 8 million Americans. During a national emergency, people in this database could be arrested and detained by government authorities. In 2007, George W. Bush signed National Security Presidential Directive 51 which gives the president authority over all three branches of government during a catastrophic emergency. The Bush administration has also refused to reveal details on specific details of continuity of government operations to the U.S. House Homeland Security Committee. Perhaps the Main Core database and the plans to round up American citizens listed in this database during a national emergency is one of the reasons why they are keeping these details secret. FEMA has also announced that they are expanding a program to transport a large number of American citizens using trains during an emergency. This is the same method that the Nazis used to transport large numbers of Jews and political dissidents to their death camps. BROWNSVILLE – Ending speculation about the fate of the Rio Grande Valley’s undocumented immigrants during a hurricane evacuation, U.S. Customs and Border Protection has confirmed it will check the citizenship both of people boarding buses to leave the Valley and at inland traffic checkpoints. Those determined to be in the country illegally will be taken to detention centers away from the hurricane’s path and later processed for deportation. Locals responded with predictions of humanitarian disaster. “We can’t wait to see the helicopter photos of us sitting on roofs,” said the Rev. Mike Seifert, a priest and activist based in a colonia outside Brownsville. The many area families with one or more undocumented members would just refuse to evacuate, he said. As predicted last week, ICE has begun factory raids of illegal aliens in Iowa. This was not very difficult to predict. The federal government last week leased out the National Cattle Congress fairgrounds in Waterloo, Iowa until May 25th and began moving trailers and generators on location. Reports from the Des Moines Register and the Waterloo Cedar Falls Courier indicated that FEMA and ICE, two agencies within the Department of Homeland Security were involved in this secretive operation. Considering the large groups of illegal alien factory workers in the area of the fairgrounds, it wasn’t hard to figure out what was going to happen next. 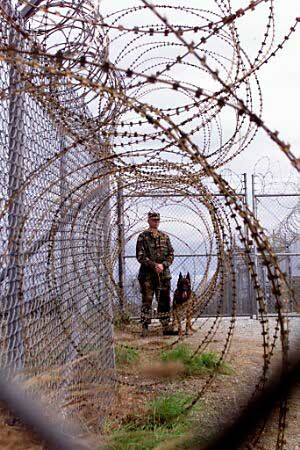 The Department of Homeland Security has now decided to go live with their test FEMA camp operation and are using illegal aliens as live subjects for processing purposes. This is a drill designed to setup a FEMA camp that will be used to process American citizens. Make no mistake about it, this has nothing to do with stopping illegal immigration. Rounding up a few hundred illegal aliens and asking them questions is going to do nothing to resolve the policies that have encouraged and facilitated the illegal alien problem. It does however serve as a fine test run for processing large groups of people through a FEMA camp. 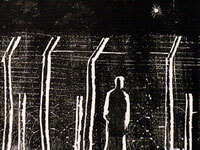 Editor’s Note: A recently announced contract for a Halliburton subsidiary to build immigrant detention facilities is part of a longer-term Homeland Security plan titled ENDGAME, which sets as its goal the removal of “all removable aliens” and “potential terrorists.” Scott is author of “Drugs, Oil, and War: The United States in Afghanistan, Colombia, and Indochina” (Rowman & Littlefield, 2003). He is completing a book on “The Road to 9/11.” Visit his Web site at http://www.peterdalescott.net.